The award-winning Wrapmaster® range of catering dispensers provide effortless dispensing of film, foil and baking parchment using genuine Wrapmaster® refill rolls. Trusted by professional chefs for over 20 years, Wrapmaster® dispensers come in a variety of sizes to suit the requirements of any professional kitchen from large scale, high volume establishments to mobile food operations. Wrapmaster® dispensers have a patented concealed blade making them safe to use whilst delivering the perfect cut every time. They are proven to reduce wastage and increase productivity saving chefs valuable time and money. Recommended by food safety practitioners, the Wrapmaster® range helps to prevent cross-contamination by being easy to clean and sanitise during service and easy to disinfect in a commercial dishwasher. The Wrapmaster® 4500 is a 45cm catering dispenser and the perfect choice for large kitchens using high volumes of cling film, foil or baking parchment. The 3000 is a 30cm catering dispenser for smaller kitchens, taking up less space than the 4500. Perfect for kitchens with limited work spaces that use high volumes of film, foil and baking parchment. The 45cm Duo can dispense two types of material or be used for large volume uses of one material. Taking up 40% less space than having two dispensers, it’s designed for very busy, large kitchens that use film, foil or baking parchment. 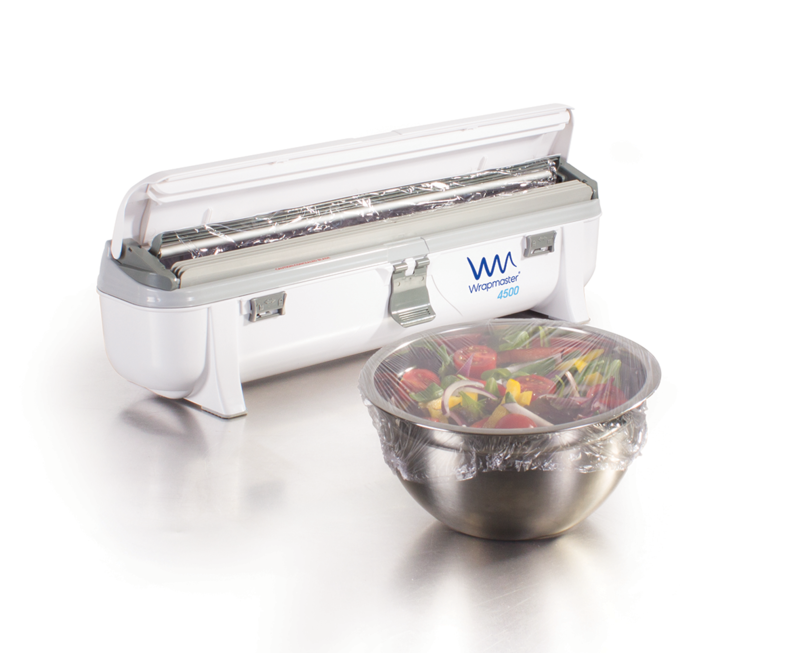 The Wrapmaster® Compact takes up the same space as a traditional cutter box whilst providing the robust qualities of the Wrapmaster generation of products. It's the perfect dispenser for the smaller kitchen with limited space. Wrapmaster® dispensers are available to order from a vast range of national and local distributors. For more information on the range of dispensers and refills please visit www.wrapmaster.global.